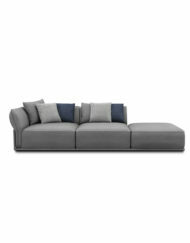 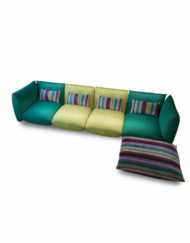 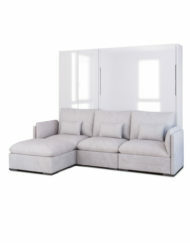 Adagio Soft Modular Sofa – Corner Seat with goose feather fill is the versatile anchor of our Adagio set. 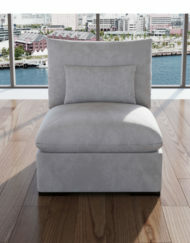 It can be placed as it was originally intended: in the middle of a room or as desired to inspire the ultimate lounge suit. 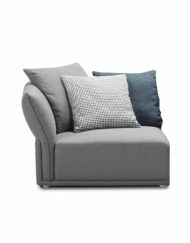 This super cushiony corner seat piece is ideal for when you need a sofa that fits your flexible lifestyle. 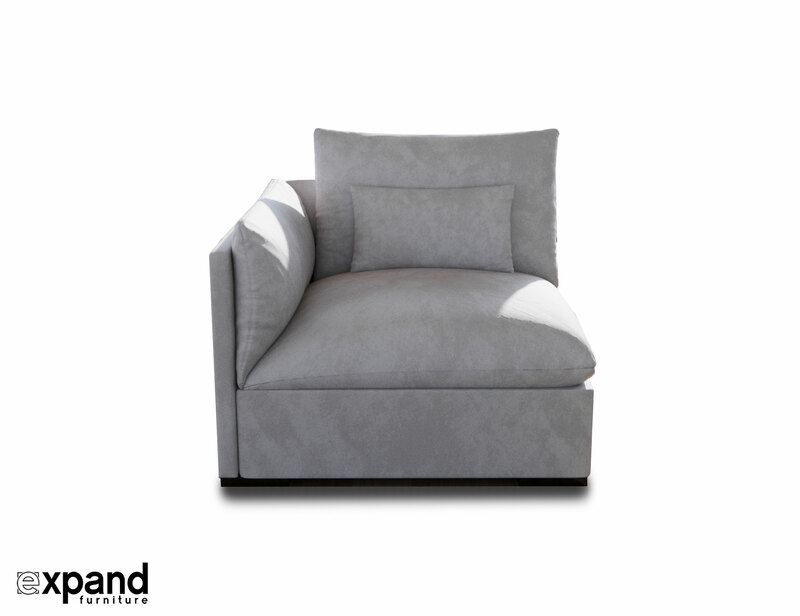 It is not only velvety soft and transforms your suit to become a piece of art, no matter if you need one corner piece for the left or right, two to make a three-seater or loveseat, or wherever your creativity may lead you. 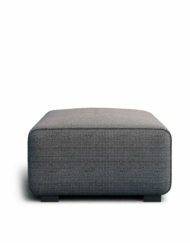 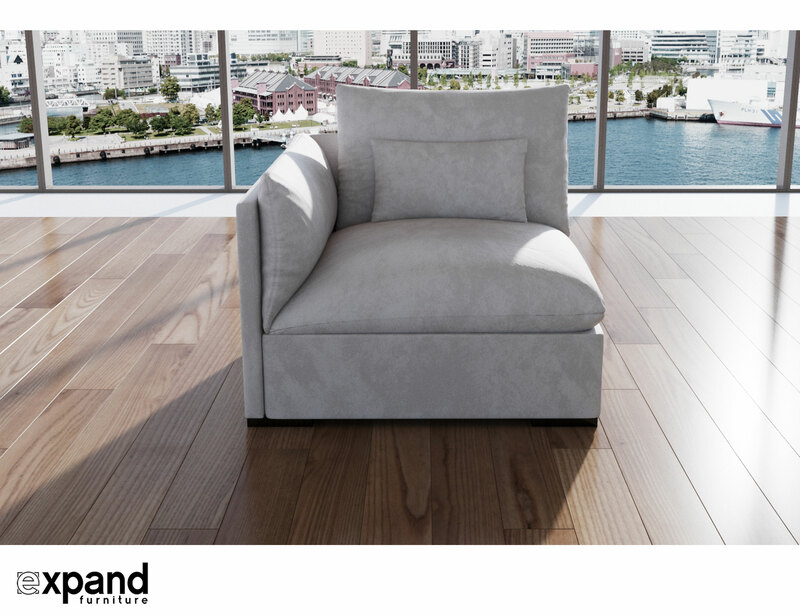 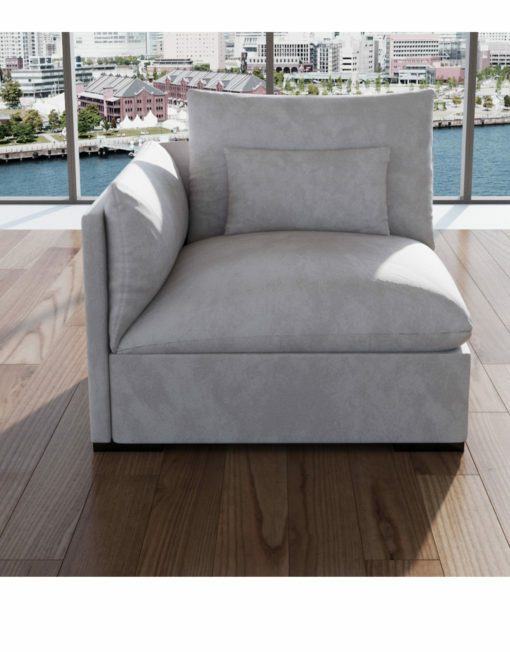 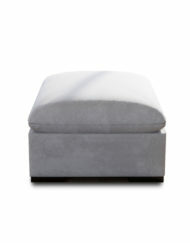 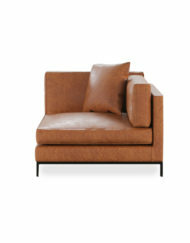 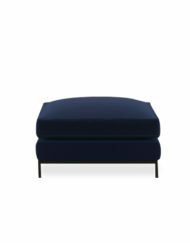 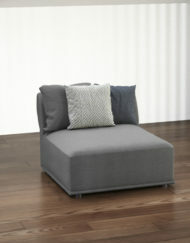 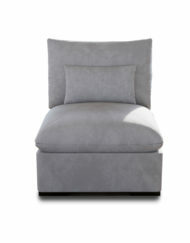 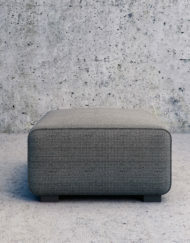 Combined with our ottoman or the single armless seat, this corner piece has ample possibilities. 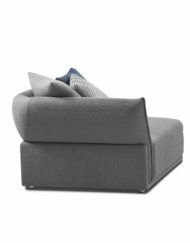 Quick Ship. 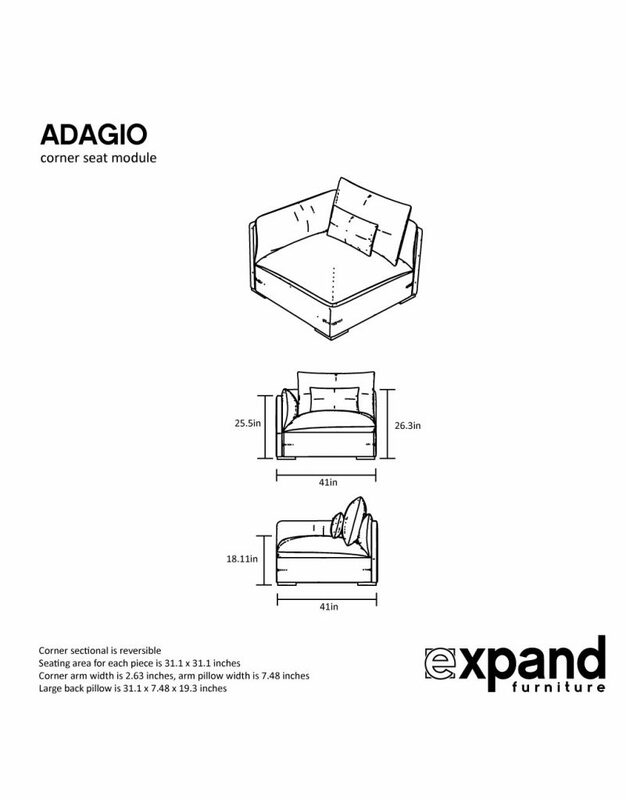 View more Adagio Module and Set Options here. 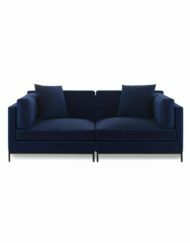 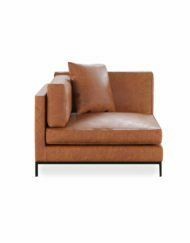 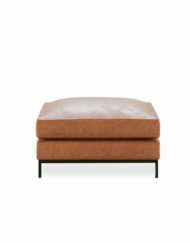 Adagio Soft Modular Sofa – Corner Seat with soft goose feather fill is cozy to the touch and invites you to snuggle up with a book or popcorn for hours. 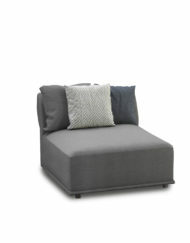 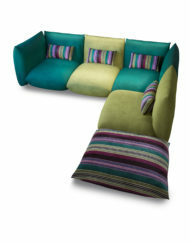 It is the ideal addition to our Adagio Soft Modular Set comprised of the ottoman or the armless single seat. 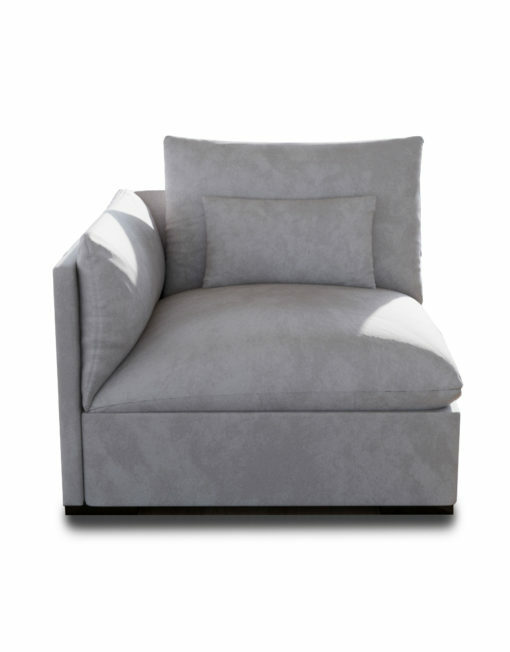 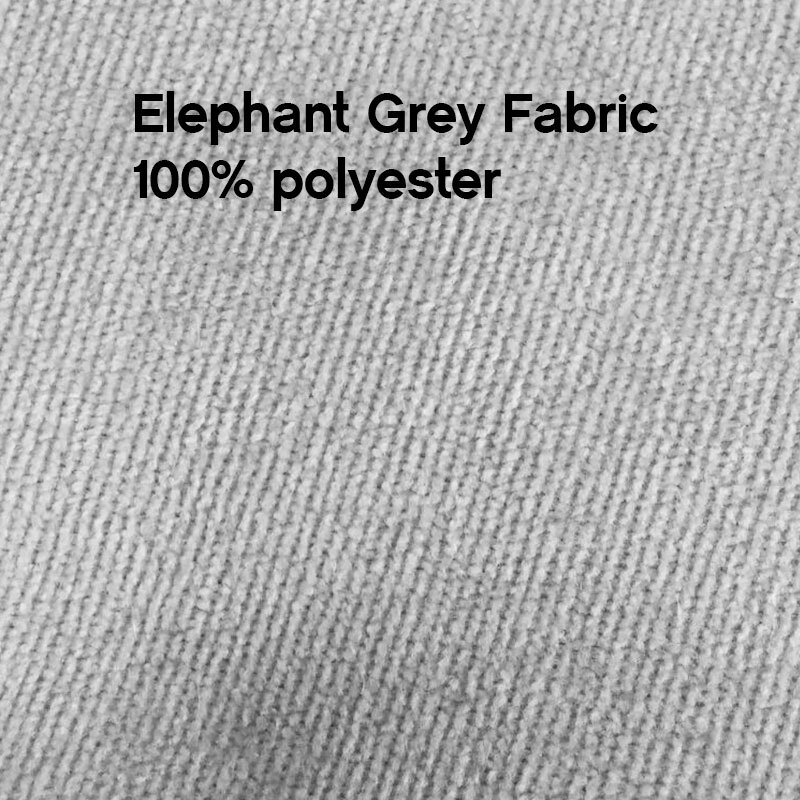 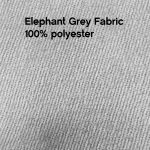 The Adagio Corner Seat comes in a soft elephant grey that perfectly accentuates any decor or style choices – as a loveseat in an office or set up as a end piece to a chaise longue in combination with the ottoman module. 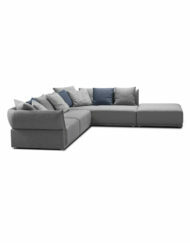 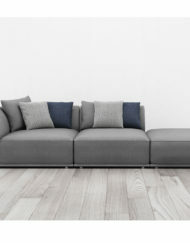 Both great design and quality materials meet superior craftsmanship for a modular sectional to be enjoyed forever.